Turkey should no longer cover for the atrocities committed by the Ottoman Empire, and recognize the Armenian genocide, Armenia’s president Serzh Sargsyan said on the eve of the 100th anniversary of the start of the mass killings. Following orders issued from Constantinople in April 1915, Turkish officials began to arrest, deport, torture and ultimately murder members of the Ottoman Empire’s Armenian minority, who were labeled disloyal during World War I. By 1922, an alleged 1 to 1.5 million people – more than two-thirds of all Armenians in the Empire – were dead. Turkey insists that the numbers of the dead was significantly smaller, and as many Turks died, trying to quell uprisings from rebel Armenians, who fought alongside the invading Russians. While officials have increasingly owned up to some of the atrocities, they have vehemently denied the label genocide. Turkish President Tayyip Erdogan strongly condemned Pope Francis for using the term earlier this month. Despite disagreements, in 2009, Erevan and Ankara signed a “historic” deal, establishing diplomatic relations, and opening borders for the first time since 1993, but neither the Armenian, nor the Turkish parliament have ratified it. “The Turks don’t want, from what they have shown, to establish relations. We have demonstrated on numerous occasions that the very moment that Turkey ratifies the document, we are ratifying it,” said Sargsyan. The Armenian leader, who has been in his post since 2008, accused Turkey of imposing “preconditions” for a deal. Ankara has refused to sign any diplomatic documents or to recognize the genocide until Armenia officially abandons its claims for lands inside Turkey, where Armenians lived prior to 1915. Another thorny issue is the dispute over Nagorno-Karabakh, where Ankara has supported the Muslim Azeri population, in its stand-off with the Christian Armenians. “We haven’t posed any preconditions to Turks. We haven’t said to them that we should recognize Armenian genocide to establish normal relations with us, and I think our position was just and fair, and constructive. But the Turkish side, the Turkish leadership, to be precise, have always come up with this or that or that precondition,” said the 60-year-old Armenian president. Sargsyan additionally accused Turkey of “expanding its denial toolbox” after it moved its centennial anniversary of the Gallipoli victory of the Allies to April 24, to coincide with Armenia’s Genocide Remembrance Day. 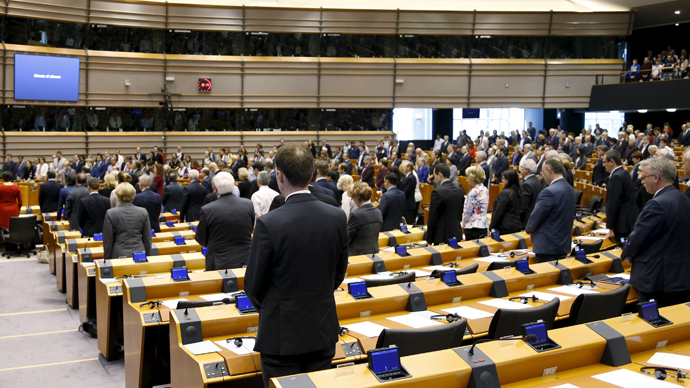 While the European parliament had a symbolic vote to recognize the genocide, Barack Obama, who had liberally used the term prior to his election as US President in 2008, has shied away from it in office, presumably to avoid upsetting longtime NATO ally Turkey. 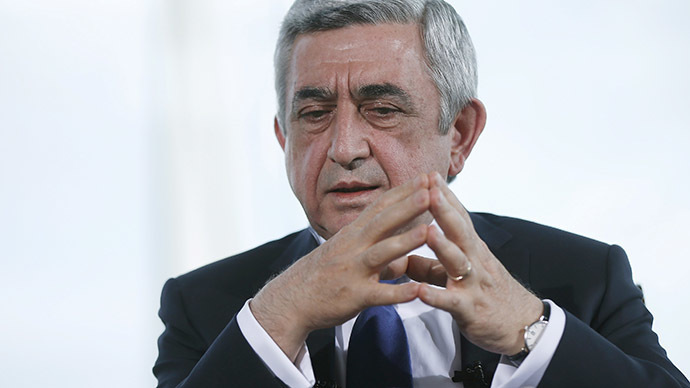 Sargsyan said the White House stance was insincere.